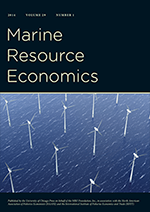 Environmental Economics: "Did legalizing ivory trade reduce elephant poaching?" "Did legalizing ivory trade reduce elephant poaching?" International trade of ivory was banned in 1989, with global elephant poaching data collected by field researchers since 2003. A one-time legal sale of ivory stocks in 2008 was designed as an experiment, but its global impact has not been evaluated. We find that international announcement of the legal ivory sale corresponds with an abrupt ~66% increase in illegal ivory production across two continents, and a possible ten-fold increase in its trend. An estimated ~71% increase in ivory smuggling out of Africa corroborates this finding, while corresponding patterns are absent from natural mortality and alternative explanatory variables. 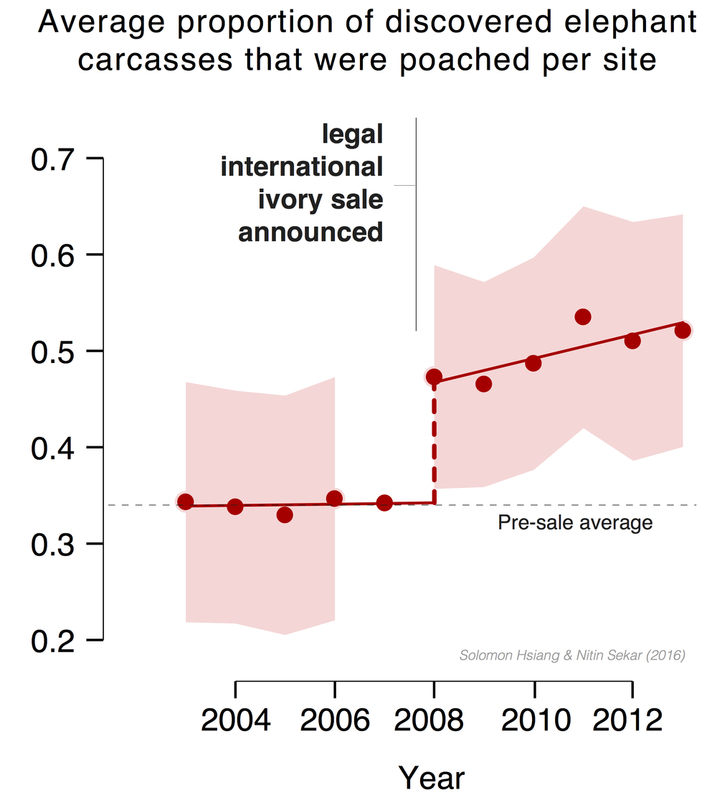 These data suggest the widely documented recent increase in elephant poaching likely originated with the legal sale. A new NBER working paper by Sol Hsiang and Nitin Sekar. Ungated version here.